The game sees player guide Bob through a series of surreal dreamscapes, using only his dexterity and the objects he finds around him. Its mix of surreal visuals, open-ended puzzling and laugh-out-loud gameplay has seen it become a firm favourite since a protoype was launched on itch.io – but this full Steam release comes with a significant amount of extra content, gameplay refinements and a brilliant co-op mode. 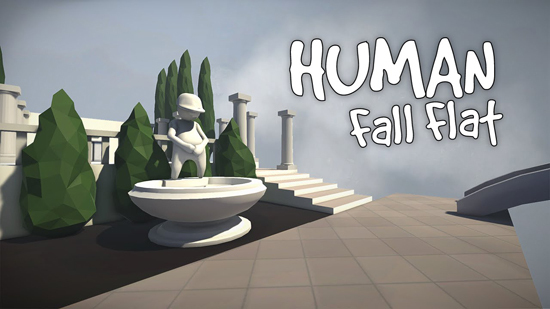 Human: Fall Flat encourages repeat playthroughs thanks to its multiple solutions – often there are many ways to reach each level’s exit. Experimenting with how objects interact with Bob and the environment can lead to some genuinely inventive moments. Players should never wonder how they can, more how will they. Human: Fall Flat is available for PC, Mac and Linux on July 22nd, priced £11.99 / $14.99 / €14.99 (although launch discounts will be available). Console versions will be published later in the year.